As always when I post the announcements, you won't find 30 names in the list just yet. You will soon. With the vagaries of email, my inability to count well, and other factors, there are not 30 poets yet. But there will be! Hi, Greg. Thanks for hosting! My poem for the March Madness Poetry Sweet Sixteen is "Dear Bully." I am sharing my revision notes, and my own "Dear Bully" story. I can't imagine what it's like for today's teens, when social media adds another layer to the bullying issue. Greg, I'm THRILLED to be one of you 30 poets this year! Today, I'm sharing the poem I DIDN'T submit in round two of #MMPoetry. Oh, and THANKS for hosting the roundup!! Greg! 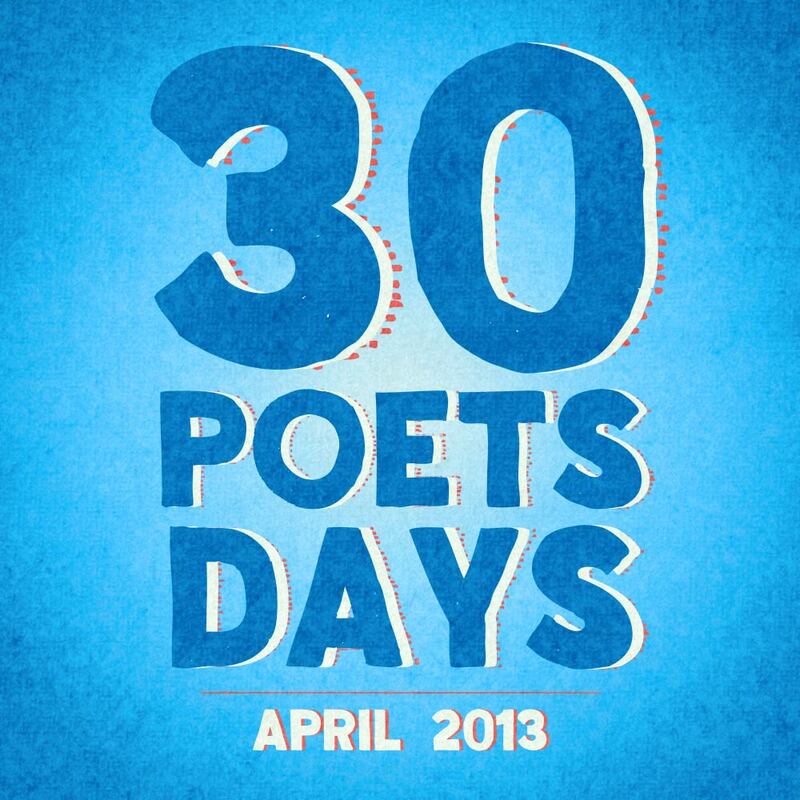 I always look forward to your 30 Poets/30 Days...now I want April to be here today! Happy Poetry Friday! Thank you for hosting. Greg you always start me up with your 30 Days/Poets!!! So excited it's almost here. Thanks for hosting today. I have Carl Sandburg poems up, found in a lovely little discarded library book. I always love your 30 Poets posts, Greg! Looking forward to it! Thanks for hosting. I'm looking forward to your 30 poets. I have my round 2 March Madness Poetry Tournament process and a cute picture of a sloth. I'm in with my poem "I Am Fog," plus a poem starter video for teachers featuring that poem. Yay, another 30 Poets/30 Days! Can't wait! Here's my offering. My March Madness 2013 entry and another I wrote that I found lying around on my computer...both short ones about owls. Thanks for hosting, Greg! I am so excited to be included in your 30/30 event this year - yay! Today I am in with a poetry video and play-by-play brainstorm session for my Round 2 March Madness poem "Anthem." Thanks for hosting PF! Please put me in with a poem about a late winter snow. This morning at Random Noodling I have ear candy provided by Robert Pinsky. Kurious Kitty has some fairy tale thoughts. Make sure you click on the fashion link. KKs Kwotes continues a month of women's quotes with Toni Morrison. Thanks for hosting. I'm double dipping on SLICE OF LIFE with Ralph Fletcher's "Daffodils" and then a little writing of my own! Looking forward, as I do every spring, to our terrific April line up! Thank you for hosting today! (And for posting my link up there.) Can't wait to read all the wonders from your 30/30 list this year. Happy (Early) Poetry Month. Thanks for hosting. I'm looking forward to your 30 poets! I'm in today with some alternate versions of my March Madness Poetry sweet-sixteen entry, "Portrait of a Trembling Mouse." My poem today is about one of my favorite mossy woods walks: "Houston Trail - Langley BC" is here. Greg thanks for hosting. Looks like a great month. Greg, thanks for hosting today, and the upcoming 30 days look great. I'm in this week with an Alden Nowlan poem. It's here. Happy Friday, everyone! Thanks for hosting, Greg. I posted The Sea Gypsy by Richard Hovey at Bildungsroman this morning. Thanks for hosting Poetry Friday Roundup today. Can I come to the party? Congrats to the upcoming April celebration. It sounds grand, Greg! At On Point, I have my haiku, You Steampunk Me. Thanks for hosting! Thanks for hosting today, Greg. Hi Greg! Wonderful hosting job, and I'm excited about your 30/30 project. I'm in today with a poetry book recommendation . . . because I left my poetry notebook at home today. Hope that's allowed! It's Eleanor Farjeon's poem "Morning Has Broken," which I thought of this morning and which I'm thinking back to now after a not-so-great day with eighth graders. Looking forward to following your April event. I really enjoyed stopping by last year. Thanks for hosting Poetry Friday. I'm so flippin' excited about another 30/30. April is going to rock out socks, I can feel it! PINCUS POWER!!!!!!!!!!!!!!!!!! I intended to stop by yesterday, but I guess for me it's Poetry Saturday! Thank you for hosting the roundup; what a great group of posts we have to explore. I can feel and see the energy building as we head toward National Poetry Month. 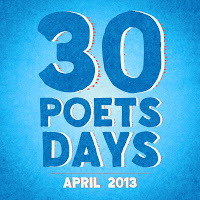 I'm honored to be a participant in your 30 poets/30 Days celebration! Just finished up reading the posts! Thanks for hosting. You did a great job!